Surfs up, Utah!It’s vacation time for topazjazz, but DA Buzzing must have a Photo of this Week! 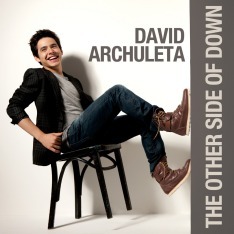 David Archuleta won not one, not two, but three surfboards at the annual Teen Choice Awards held in Los Angeles this week. David Sweeps the Music Category at TCA 2009! David was nominated in three categories and he won in all three, beating out some very heavy competition. Two thumbs up to David! and two “high-fives” to all the fans who voted and voted and voted some more. We hope after the summer tour, David will take his surfboards—he has won four now—and ride the waves in Hawaii! No? Not a surfing dude? Well, if he can’t ‘hang ten,’ at least hang loose and have a wonderful vacation. Gotta rest up for the Christmas tour, David. This year David could not attend the TCA Awards show in Los Angeles because his summer tour with Demi Lovato prevented it. The photo above was taken of David at last year’s show. We can only imagine that his smile is even bigger and broader this year! David Archuleta, a Photographer’s Dream. This was so exciting for fans to see him win these awards! He could not be more deserving! I agree that a very relaxing vacation in Hawaii would be a good idea! Maybe the surfboards can go on top of the bus with a total of 5 now it should make quite an attractive display, Oh and don’t forget the after TCA nominations for what? Most surfboards? HAHA! Go Archie! Oh My! I can not believe David. Well, I should because I do know that he is the best EVER in the music world. Thanks for posting the great picture. It reminds me that some day we will all look at these early pictures of David and gosh, oh gosh we’ll be so shocked because David is going to get older. And can you imagine him 25, 36 and 45 and 50!!! I’m getting off track here but I can’t help it! Great photo from last year’s TCA. 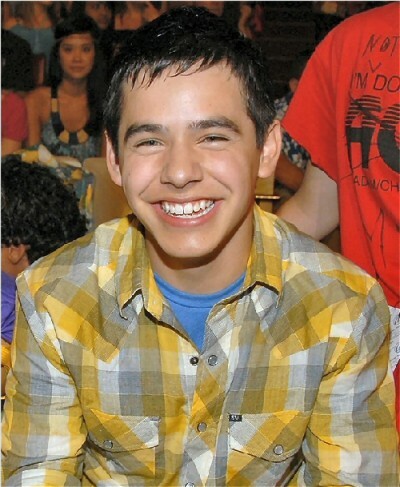 And just to think he got some flack about his outfit — the yellow plaid and blue t-shirt. It’s a year later and he can wear whatever he wants — people talk about his voice more than his appearance. Don’t they?